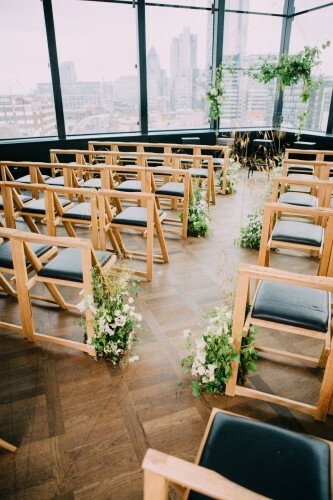 Today we have a wedding showcase with a difference to share. 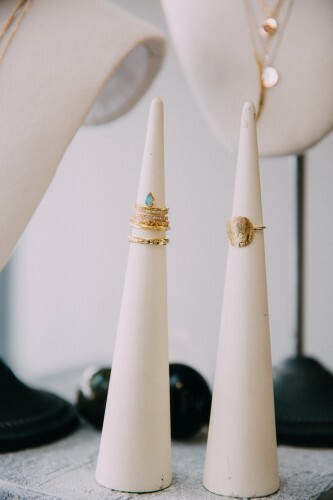 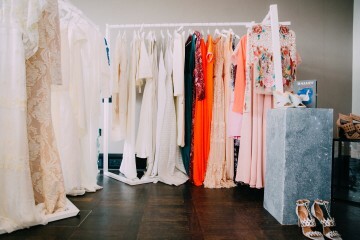 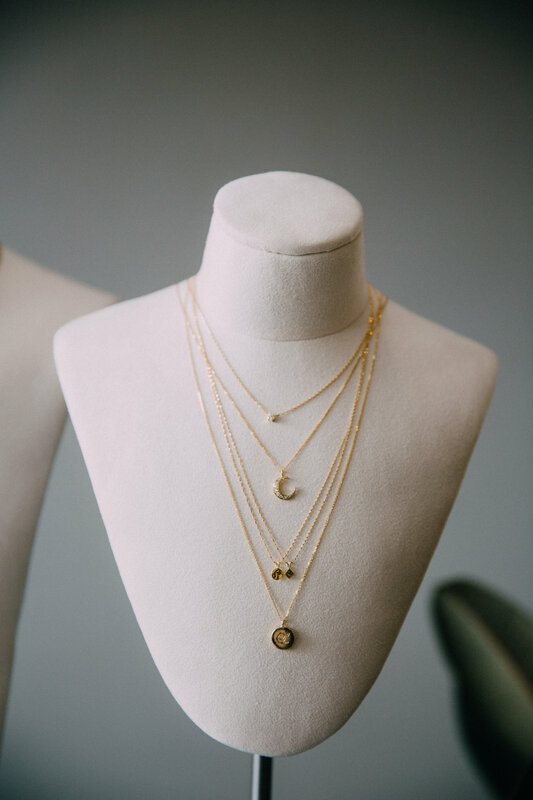 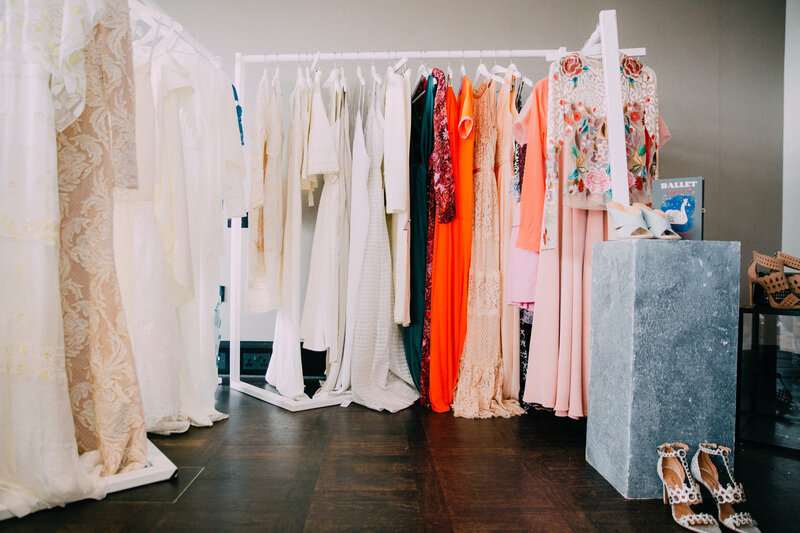 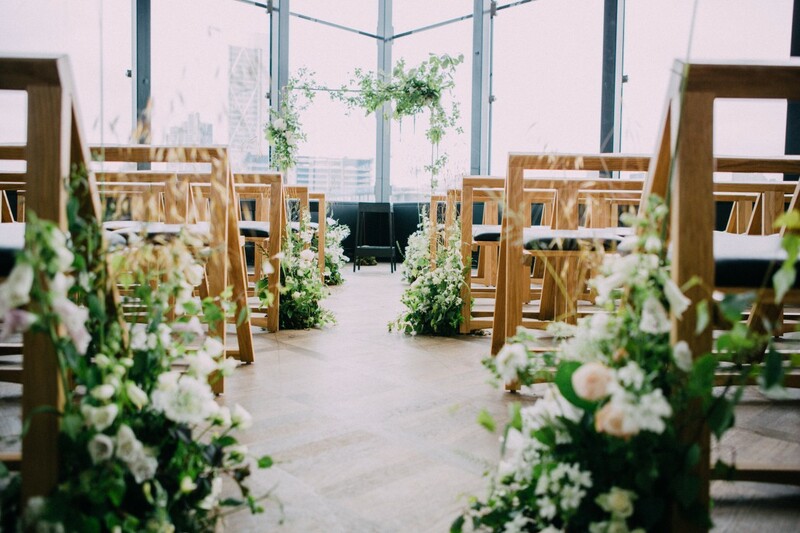 There’s stacks of inspiration for brides-to-be that are looking for alternative wedding inspiration, in fact there’s a little bit of something for everyone here. 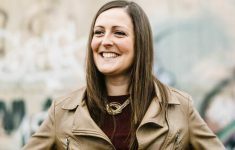 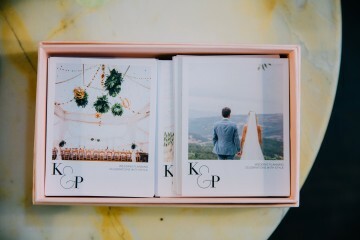 The lovely Susie from Knot & Pop, who masterminded all of the pretty behind this unique event is here to tell us more. 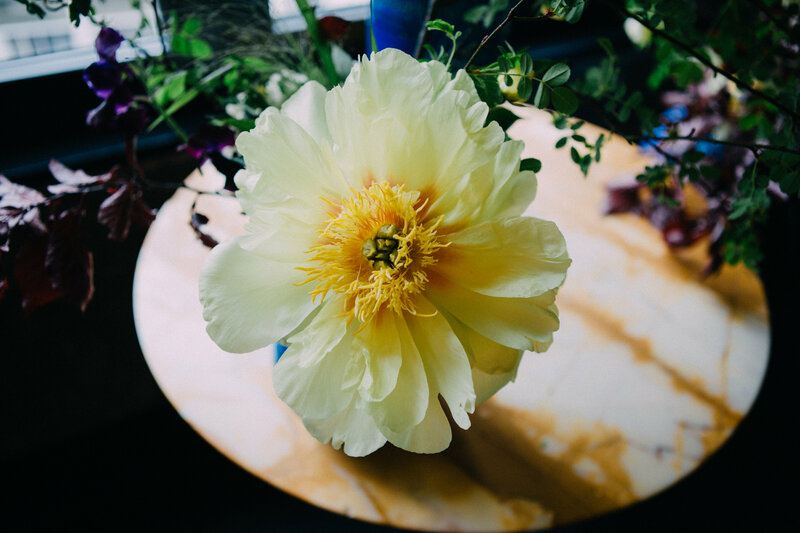 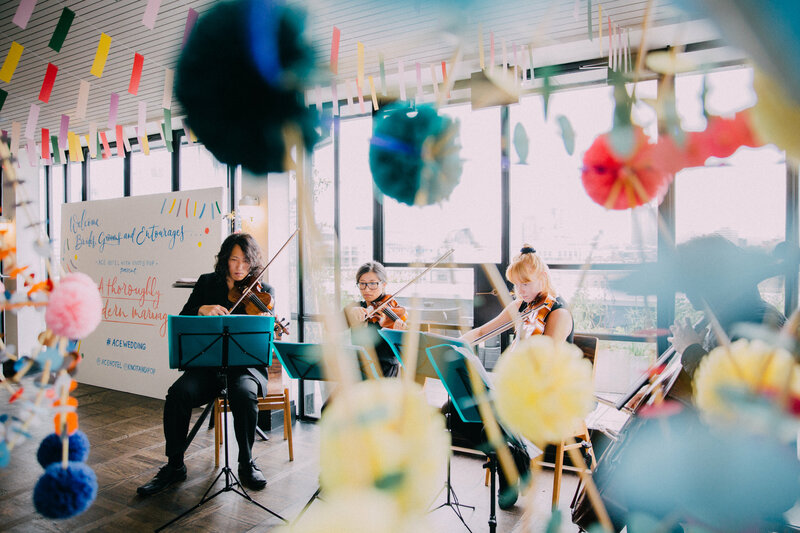 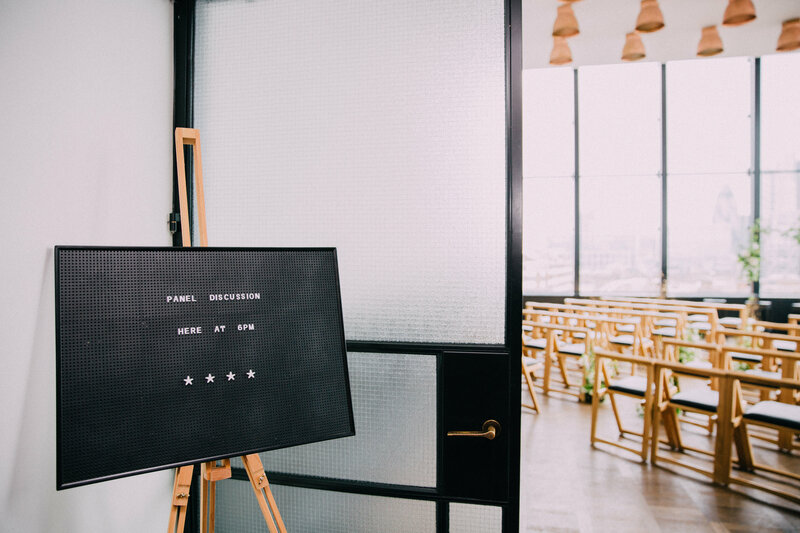 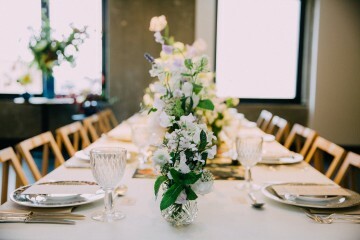 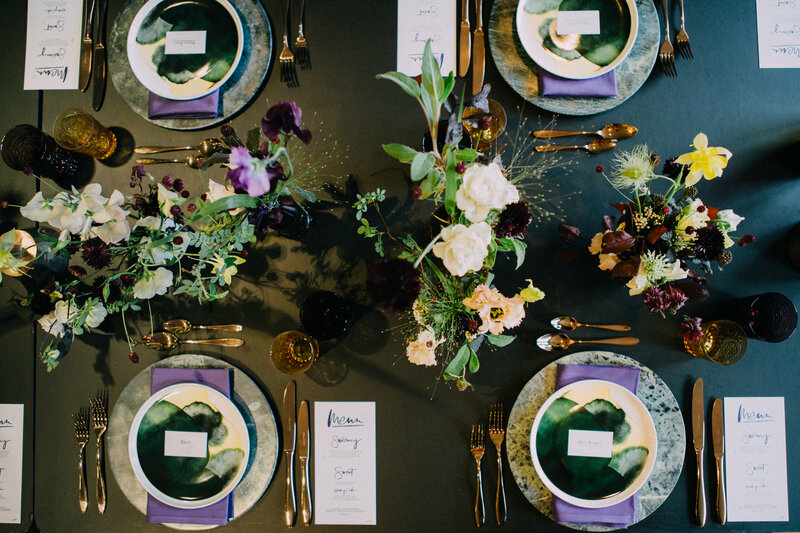 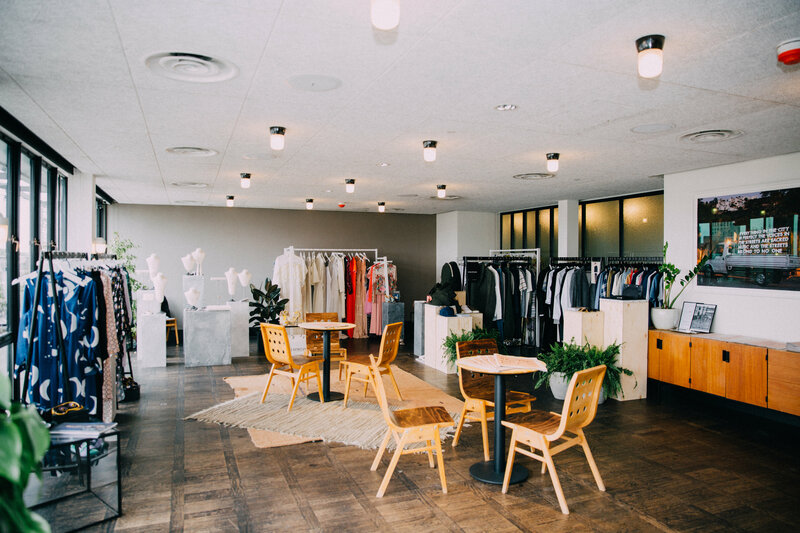 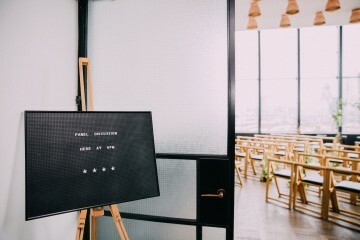 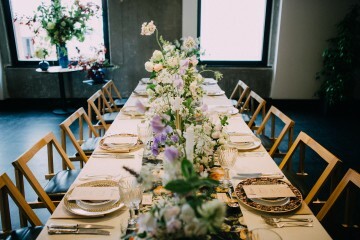 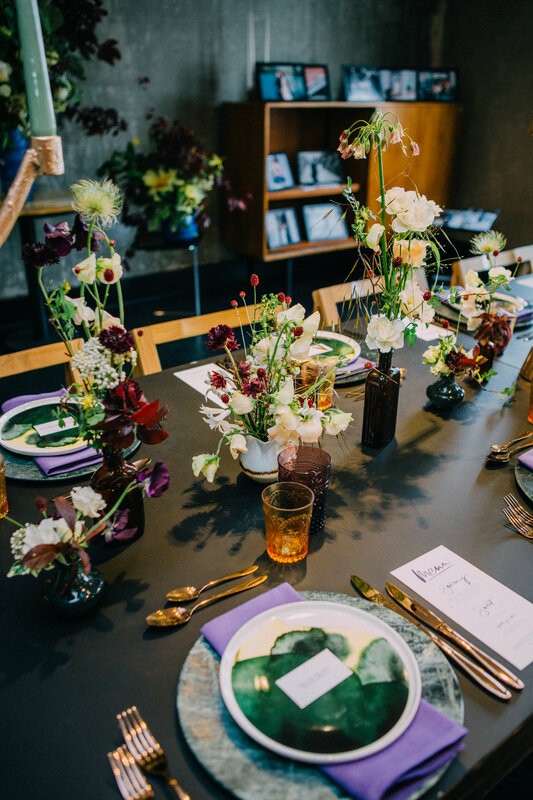 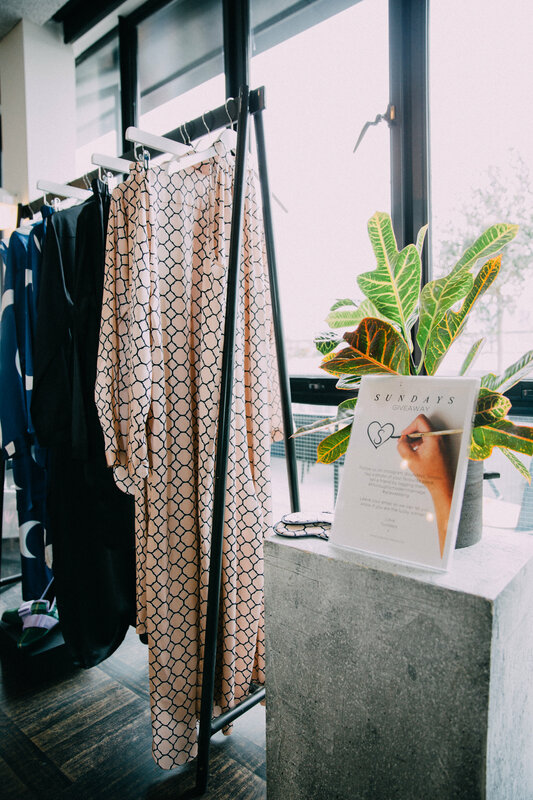 Ace Hotel approached us to help concept, produce and style a wedding showcase at their rooftop space to promote the venue to the wedding market, and modern minded couple. 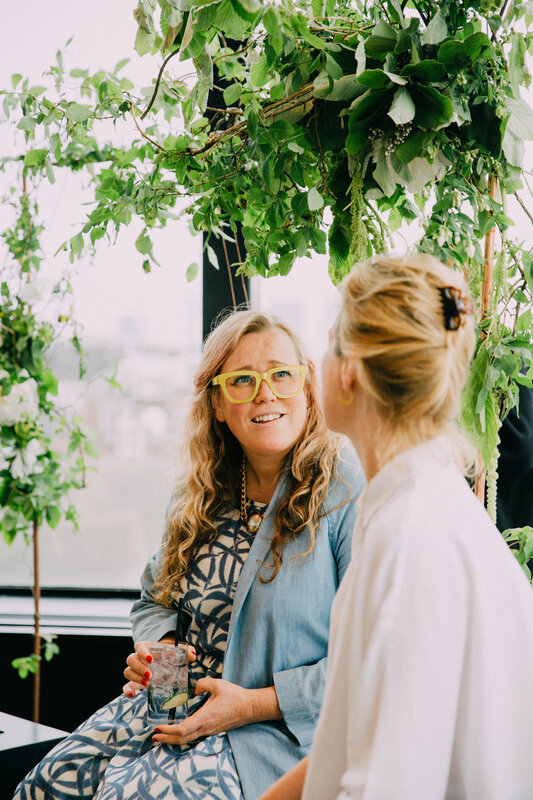 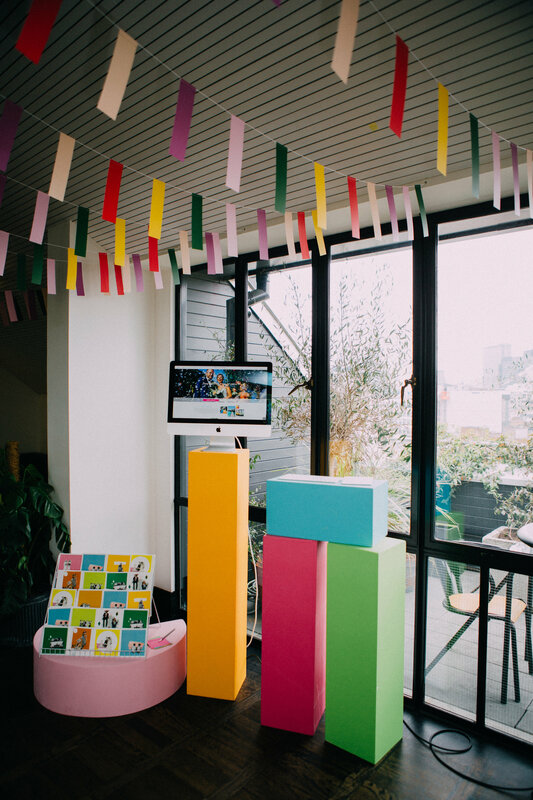 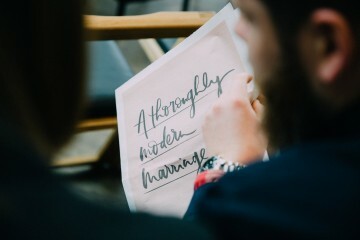 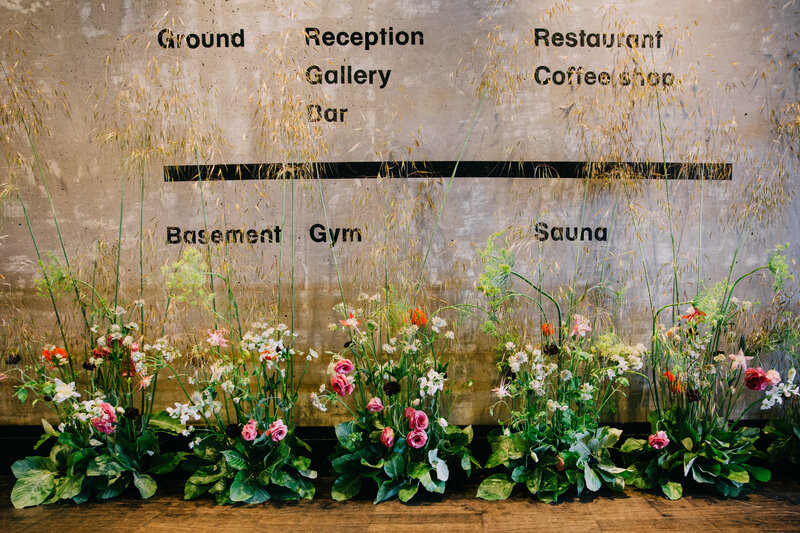 We worked with Ace Hotel to develop an alternative event to the homogenous wedding fair. Named ‘A Thoroughly Modern Marriage’ we carefully curated the event to highlight all the different spaces within the venue, being ever mindful of giving newly engaged couples the most immersive experience, to inspire and excite them on their wedding journey. This inaugural annual wedding event was crafted to inspire even the most creative brides and grooms, and with over 200 guests in attendance it was a knock-out success. 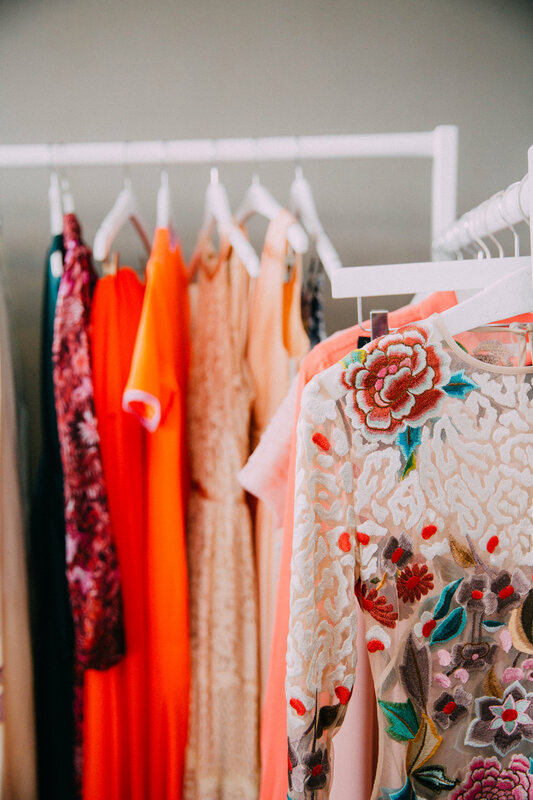 Partnering with some of the most progressive names in the wedding, fashion, well-being and beauty industries, guests were treated to all manner of things, that unveiled as they moved from room to room. 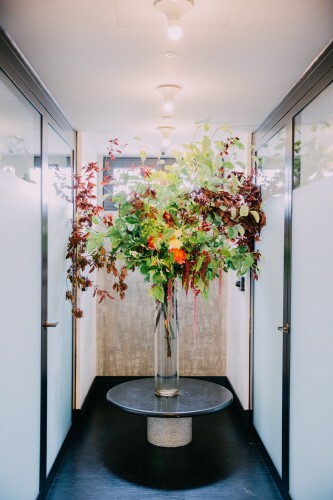 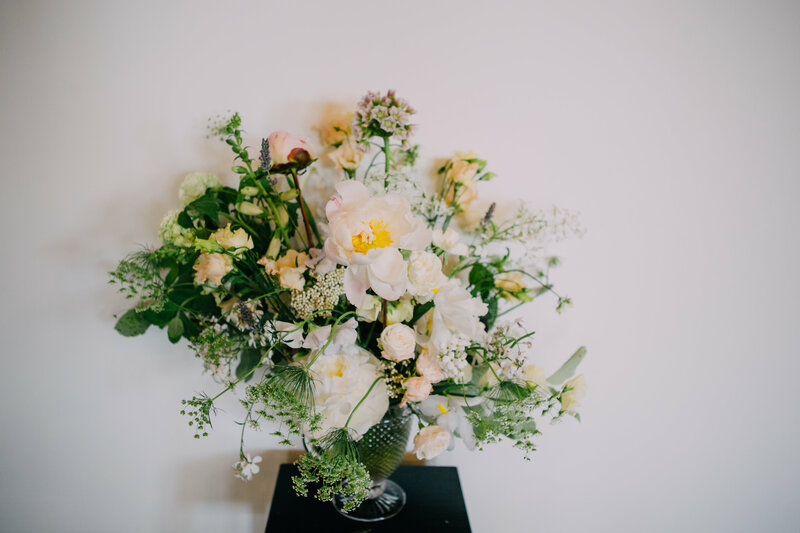 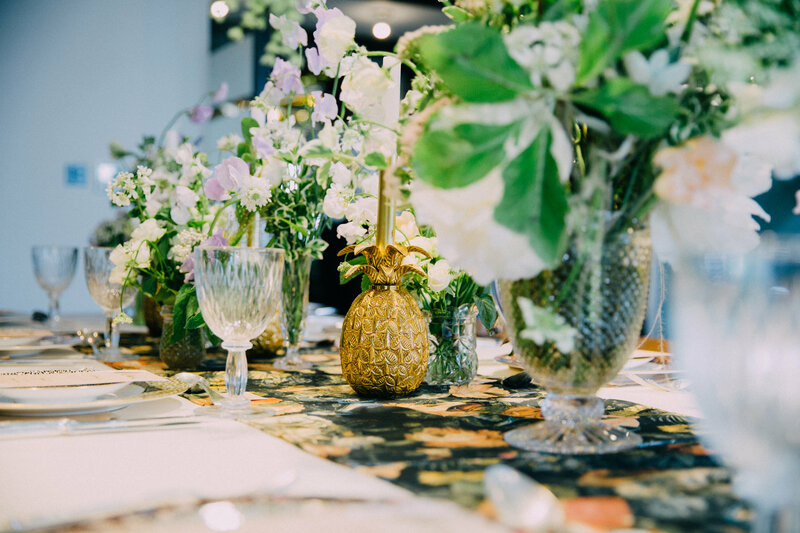 We wanted to create a scene that really allowed guests to envisage their day in action – we styled the 100 Room as a ceremony, with incredible flowers by That Flower Shop. 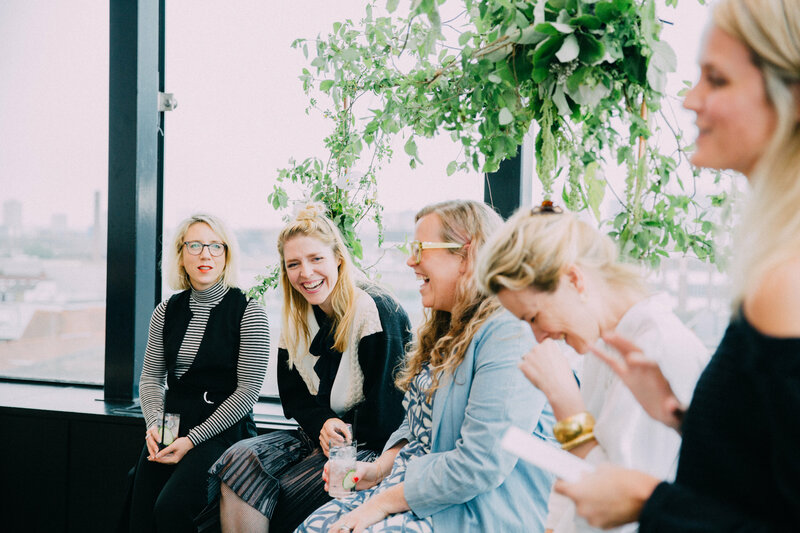 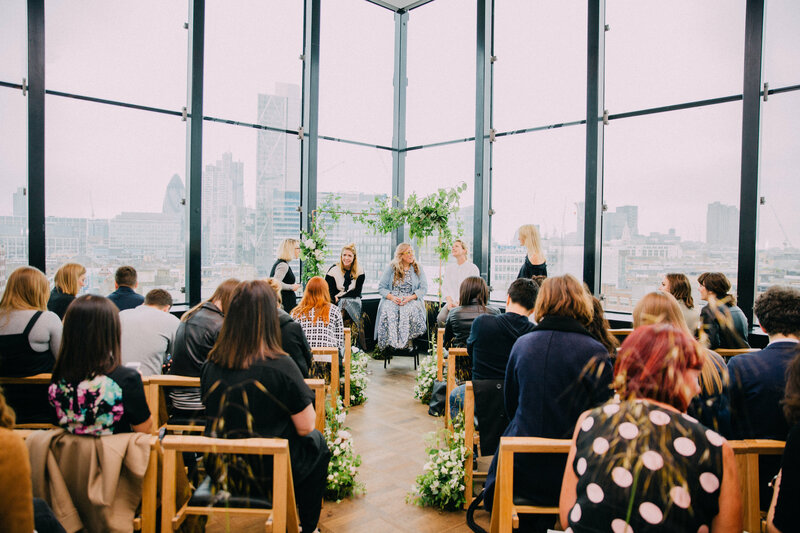 This space then later doubled up as the room for the Panel Discussion, ‘What Makes A Thoroughly Modern Marriage’ with speakers Pip Black from FRAME, Kate Halfpenny from Halfpenny London, Danielle Pender from Riposte Magazine and Olivia Knight from Patchwork. Moving through to the 100 Room Bar we brought lots of decorations in to add colour to the beautiful white canvas space. 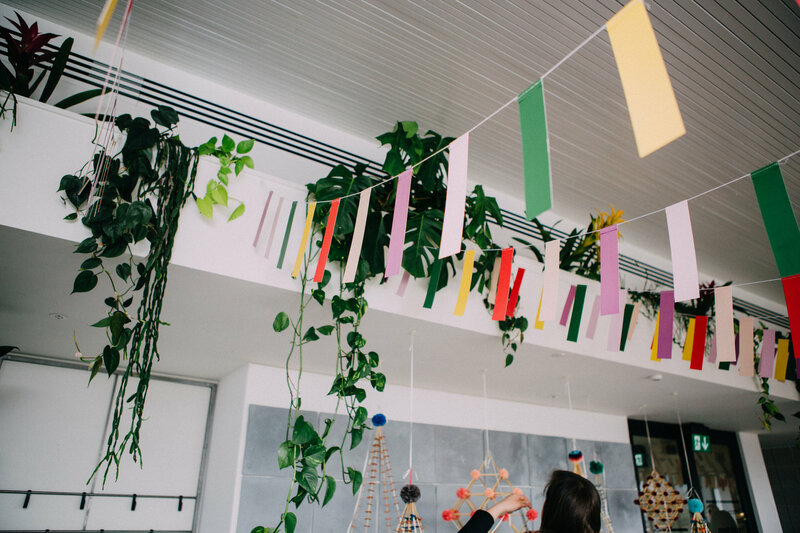 Pea Green Boat supplied the colourful paper garlands with us running the canopy across the full room length to add a lovely injection of colour. 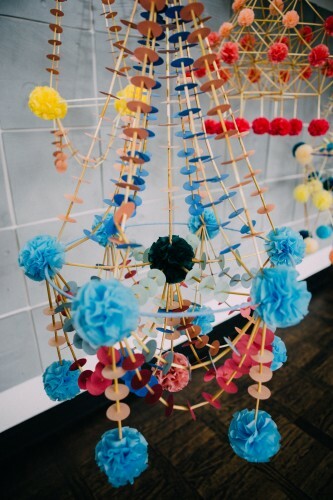 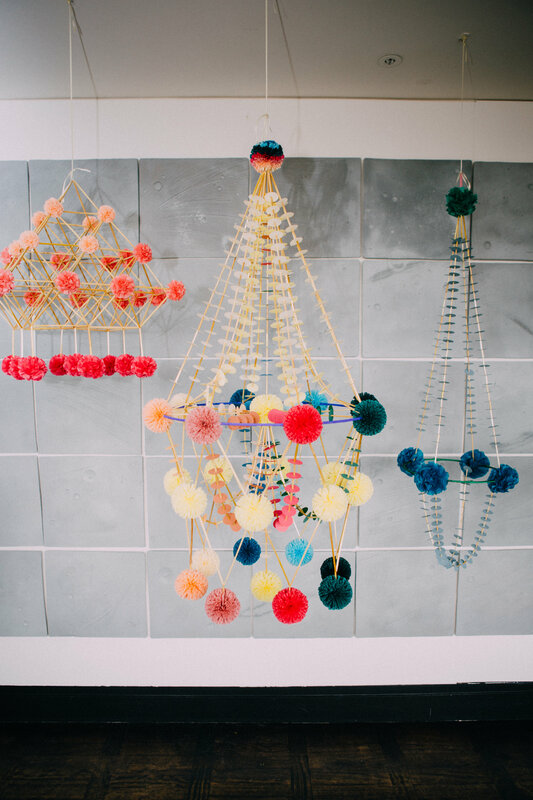 Further decorations were supplied by Bobbin & Bow with her amazing pajaki pom pom chandeliers, reviving an old crafting tradition to give it a modern day twist. 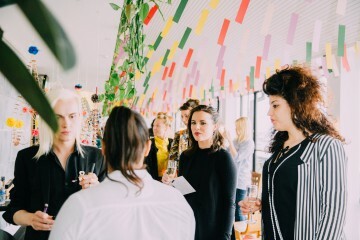 Patchwork also showcased within this space, with YSL Beauty on hand for make up touch ups and beauty consultations. 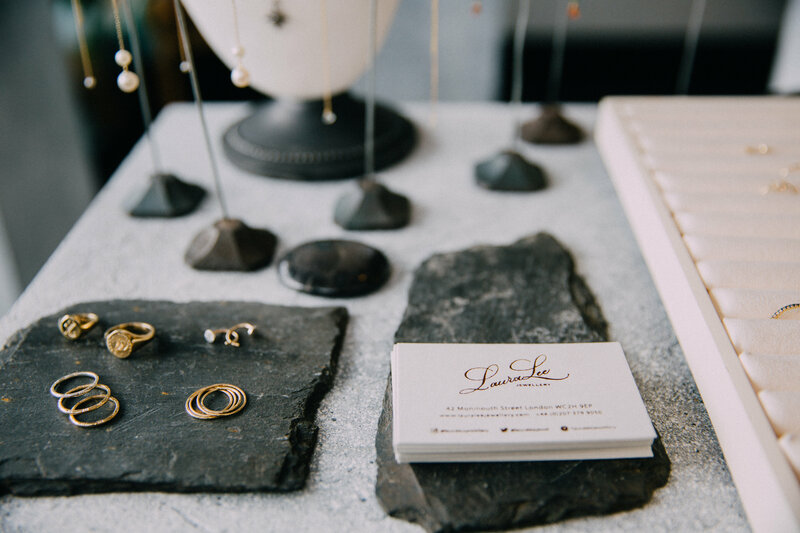 Likewise we, Knot & Pop, hosted a Consultation Corner to help guide couples in the early throws of wedding planning. 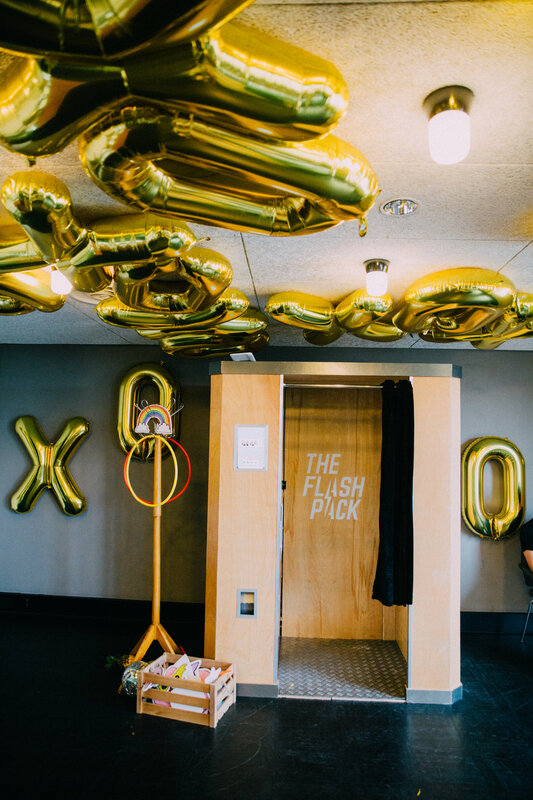 Moving to the Empire and Griffin rooms it was about moving the experience onto dining, and entertainment. 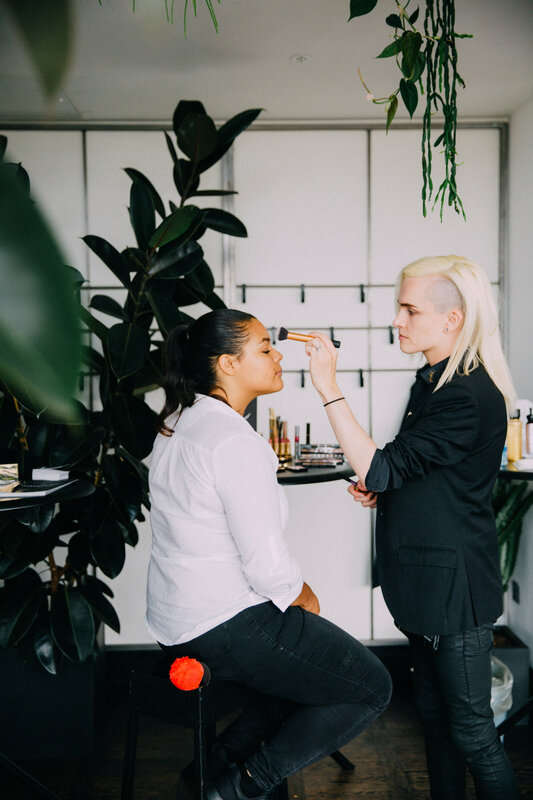 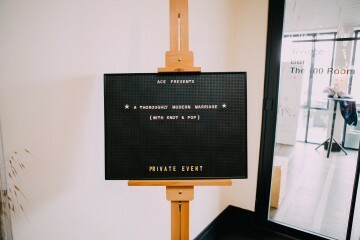 With Ace Hotel having in-house catering we wanted guests to be able to sit down and fully experience the talents of the team. 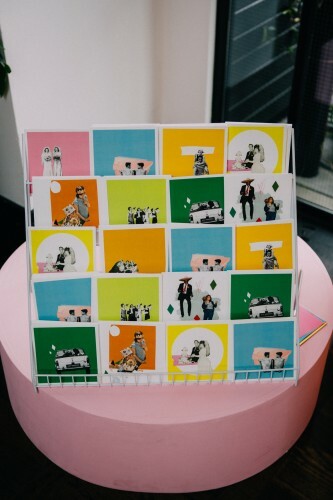 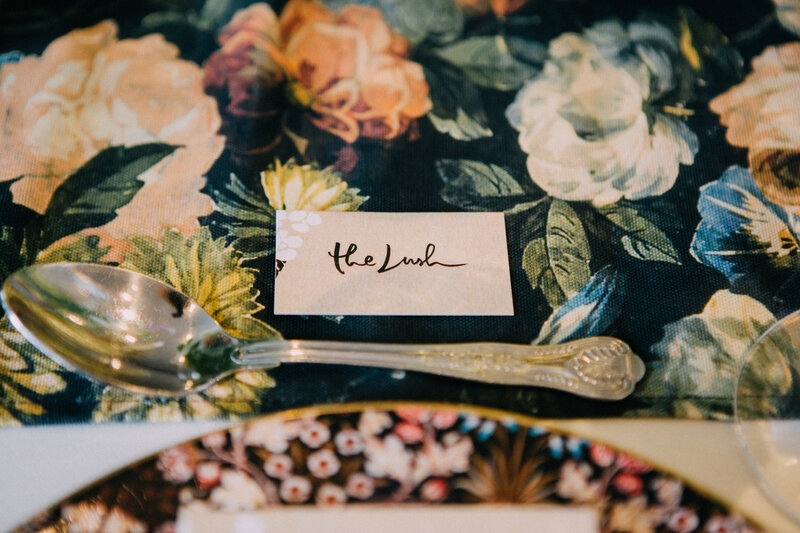 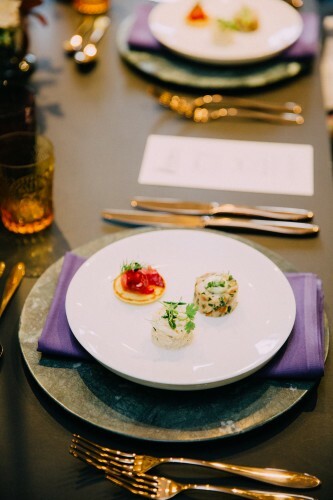 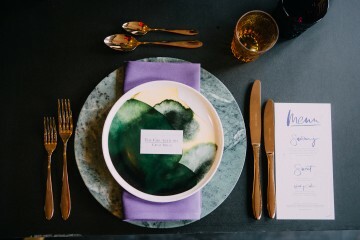 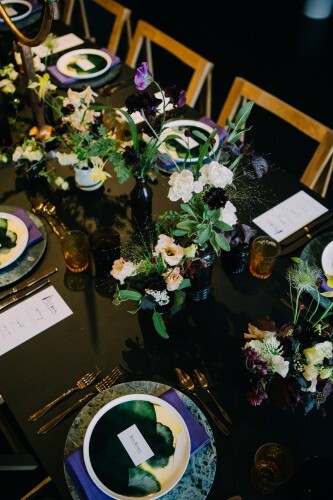 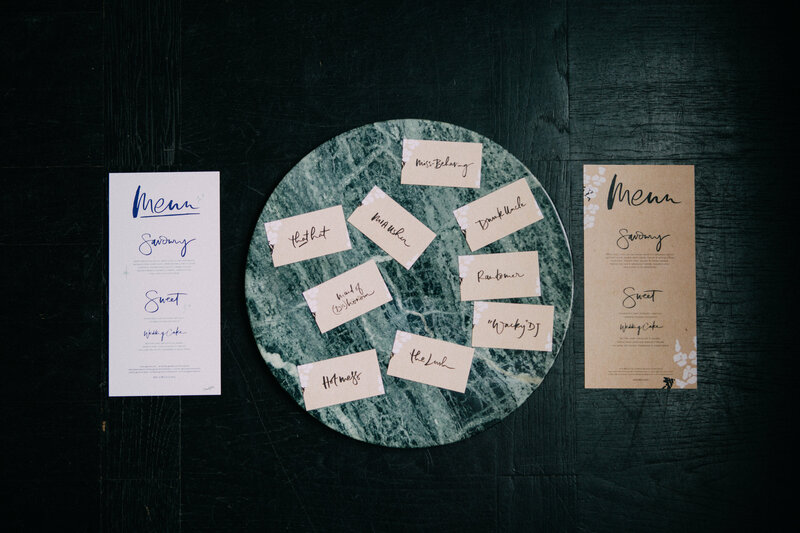 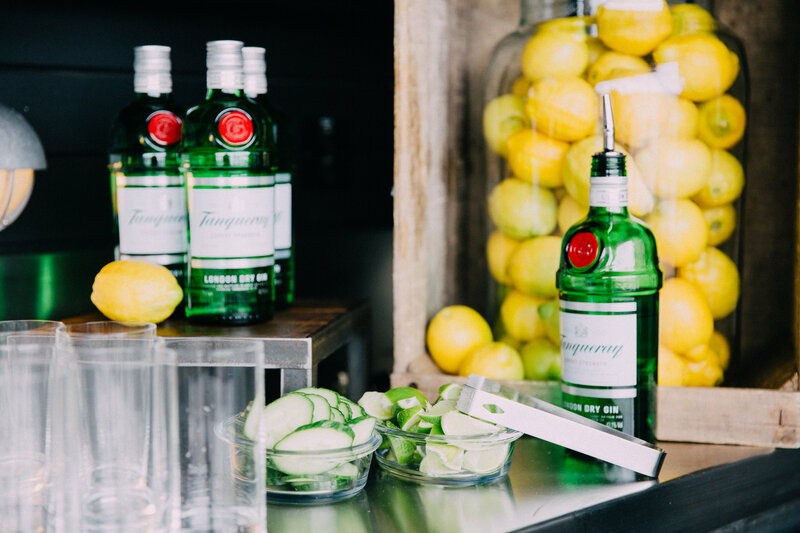 Ace Hotel therefore devised mini mains for guests to sample, with Lamplighter London supplying the menus, and we had a lot of fun deciding on the alternative wedding guest names – ‘The Moonwalker’, ‘Hot Mess’, ‘The Girl With The Amazing Dress’, ‘The Lush’, ‘Miss Behaving’. Ace Hotel also created a show-stopping cake that sat centre-stage in the Griffin Room, offset once with That Flower Shop flowers. 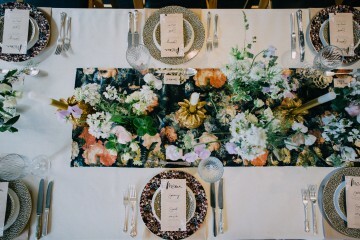 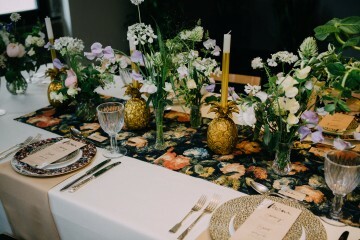 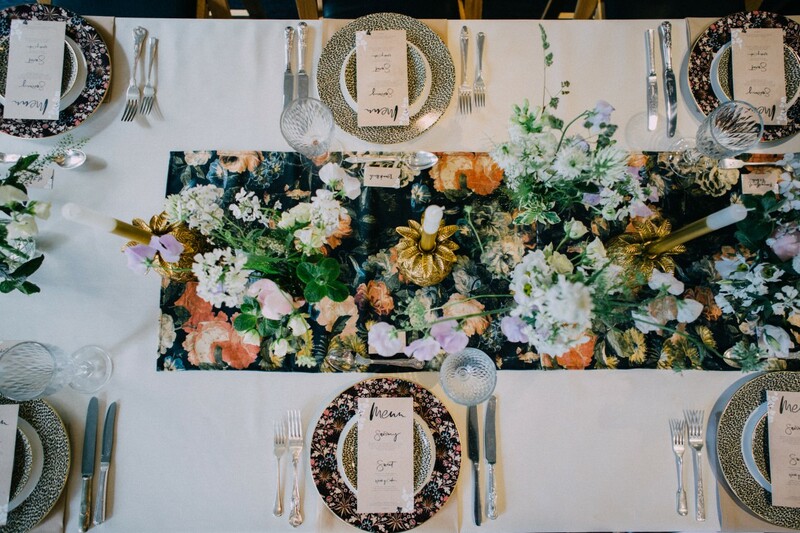 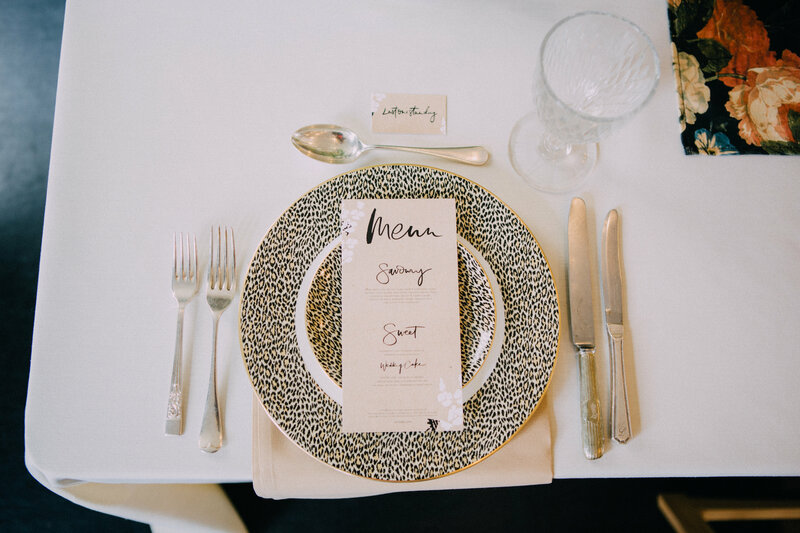 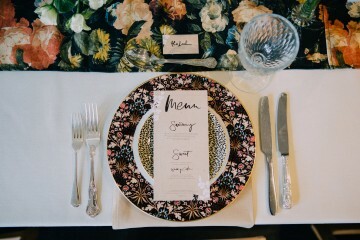 We created and styled two tablescapes for dining – distinctly different in theme and colour scheme – with product from House of Hackney and SCP (both with wedding gift lists available), and Classic Crockery. 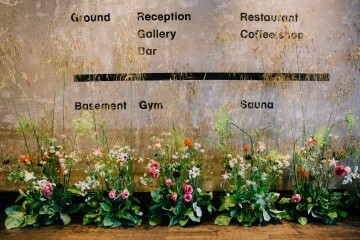 Once more That Flower Shop did a beautiful job of nailing the brief for all the table and room flowers. 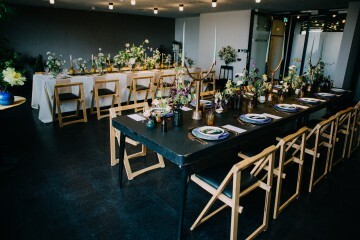 We wanted everything to have a cohesive lifestyle element to it so rather than getting suppliers to showcase on unimaginative clothed tables, lined up with brochures and business cards, it was all about showcasing elements in a way that felt grounded within the space, so a more organic and inspirational event unfolded. 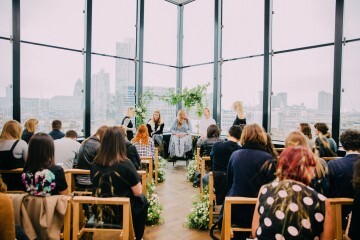 One that guests could really engage with. We got photographers Robbins Photographic, Babb Photo and Yellow Bird Photography to display their work in picture frames, placed on display cabinets and mid mod side tables. 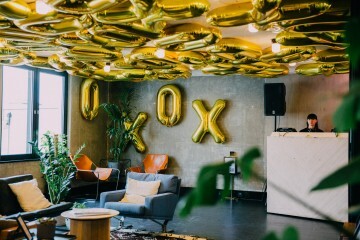 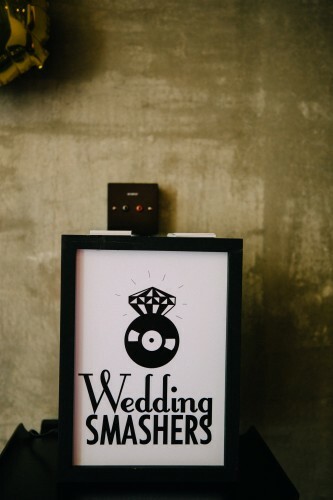 The tunes from Wedding Smashers played through both rooms, with the ‘Entertainment’ and lounge room covered floor to ceiling in XO balloons, available from Pea Green Boat. This room also housed the fun of The Flash Pack with their retro photo booth and props, with a lounge cluster created so guests could chill in this space, as they read over the ‘A Thoroughly Modern Marriage’ newspaper that was created for the event – packed full of supplier info, venue info, plus tips from Knot & Pop, and a wedding planning calendar by Lamplighter London and us. 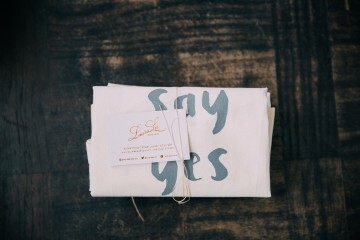 The perfect take home. 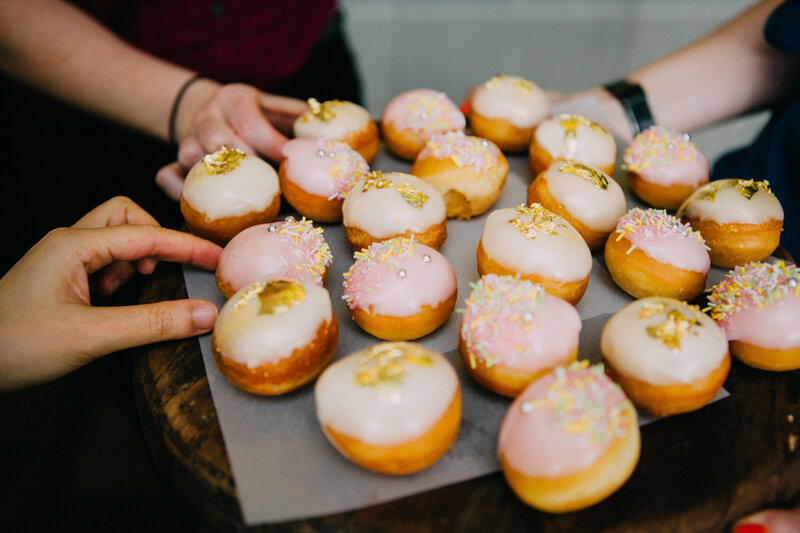 Finally, with it being National Donut Day we couldn’t have the day happen without gold foil and confetti sprinkled donut balls…of course.